In November of 2009 I purchased some puff pastry. It was for something specific but I can't remember exactly what. Now, in February of 2011 it's still in the freezer. In my continued effort to clear out our immense freezer and pantry inventory I made it my mission to use it up tonight. 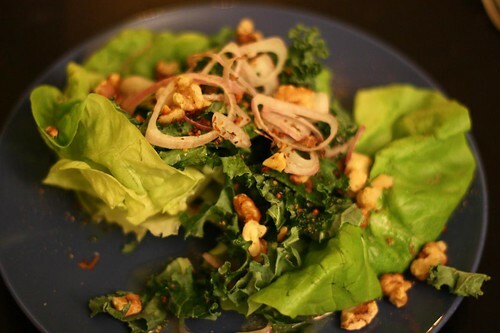 Before utilizing my puff pastry I made a salad with Boston lettuce, kale, meyer lemon juice, olive oil, mustard, honey, shallots, and toasted walnuts. On Monday I purchased and prepared some boiled yellow and red beets and set them aside. Tonight I rolled out the puff pastry, spread some goat cheese over it, then sliced and layered the beets on the puff pastry before baking it in the oven at 425 degrees. 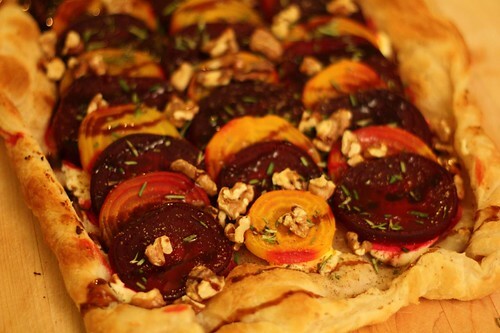 I topped it with fresh rosemary, toasted walnuts, and a drizzle of balsamic glaze. 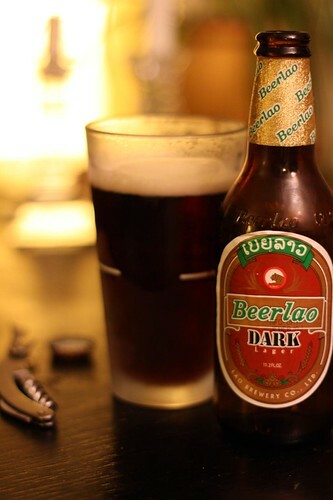 Before dinner I enjoyed this Beer Lao dark from Laos. Sometimes when I have a dinner that is not well suited to beer I have a beer whilst preparing it and before moving to wine. The leftover Côtes du Rhône from last night was an adequate accompaniment to the beet tart. I purchased this beer only because I don't think I'd ever had a beer from Laos before. It was pretty good and tasted strongly of molasses. 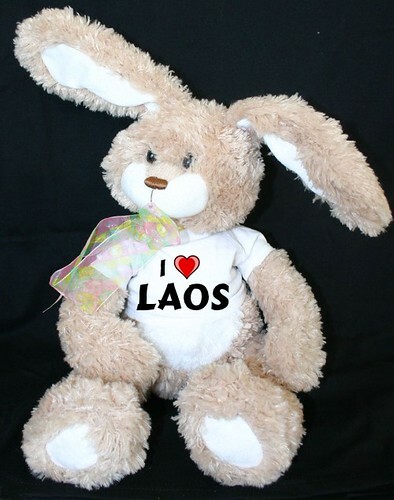 I wasn't sure if there was a lot of molasses in Laos but this Google search shows that apparently there are bunnies that love Laos and they may (or may not) be named "Molasses." 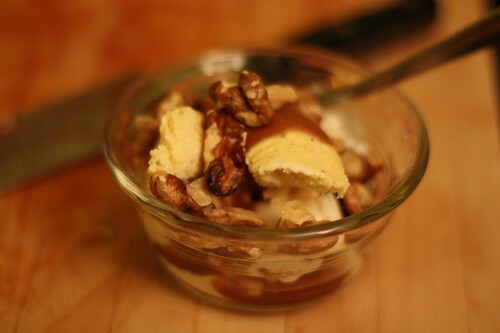 For dessert I made some ice cream with bourbon caramel sauce and the leftover toasted walnuts. I had used toasted walnuts in the previous two courses so I figured I'd make it a walnut hat trick and top off the evening with a dessert. I rarely use walnuts in cooking but I've had a bag in the cupboard for a while now that oppresses me with its presence. Therefore I decided to take some action and start using the darned things up. Now only if I had some walnut liqueur for an after dinner drink, the evening would be complete. I have a bag of walnuts staring me down every time I open the cupboard. Considering making this Caucasian walnut sauce i have a recipe for even though Adam is constantly on guard of me putting walnuts in his food. The man really hates walnuts for some reason. I'm not crazy about walnuts.